Sorry to say I was unable to travel so am completing this on behalf of other members of my family - who kept me fully informed throughout the week, and made me very envious. Everything! Very beautiful house, a perfect garden and the best hosts in the world! This is a fabulous place to stay in an extremely relaxing location. The outdoor seating area is very comfortable with a choice of seating. 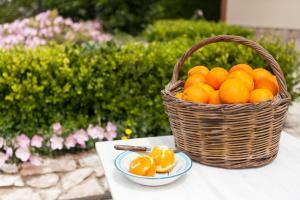 We were given wonderful produce (their own eggs, fruit or cooking) virtually everyday. The kitchen is exceptionally well equipped and there is an outdoor bbq kitchen too. The accommodation is spotlessly clean & the owner cleaned half way through the week & changed all the bed linen & towels. Easy safe parking. Everything you need. Family atmosphere. Una settimana piacevolissima! Persone di cuore e discrete, sempre con il sorriso e mai invadenti! La consigliamo per tutti quelli che, oltre alla bellezza dell' isola, vogliono la loro oasi di pace e tranquillità. Vicina a Sami e Karavomylos dove si può trovare tutto. Nella villa viene fornito pressoché tutto il necessario per un soggiorno confortevole. Noi eravamo in tre e siamo tutti d'accordo nel ritornare a villa Kostoula in futuro se ne avremo la possibilità. Un grazie speciale alla Mamma della proprietaria che ogni giorno ci offriva del cucinato tipico o frutti di vario genere! Un abbraccio da Roberto, Marianna e Lorenzo. Alles war super👍Nette Gastgeber, tolles Häuschen, perfekt ausgestattet. Wir haben uns richtig wohl gefühlt. Werden auf jeden Fall wieder dort Urlaub machen!!! Fantastische Villa. Alles er op en eraan op een rustige locatie met zeer gastvrije eigenaren. Veel ruimte in de villa, aparte BBQ plek (erg mooi en ruim). Sami mooie plek als uitgangsbasis om Kefalonia te ontdekken. Antisamos is een mooi strand en veel parkeer gelegenheid. Villa immersa nella campagna con un grande giardino ed un favoloso patio dove mangiare e rilassarsi. Le dotazione della casa sono complete sia per quanto riguarda la cucina che le camere (tutte con aria condizionata) ed i bagni. La posizione è centrale e dista 5 minuti da Sami e 10 minuti da Agia Efimia. Proprietari simpatici e molto accoglienti. Disponibilità, generosità e accoglienza dei padroni di casa. Pace e quiete date dalla posizione della casa. Casa pulita e attrezzata. 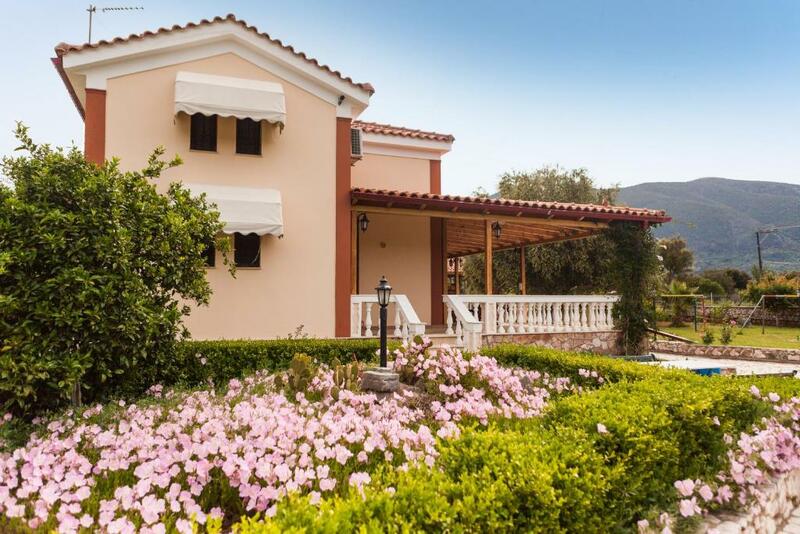 Lock in a great price for Villa Kostoula – rated 9.9 by recent guests! One of our top picks in Karavomylos – and a guest favorite. 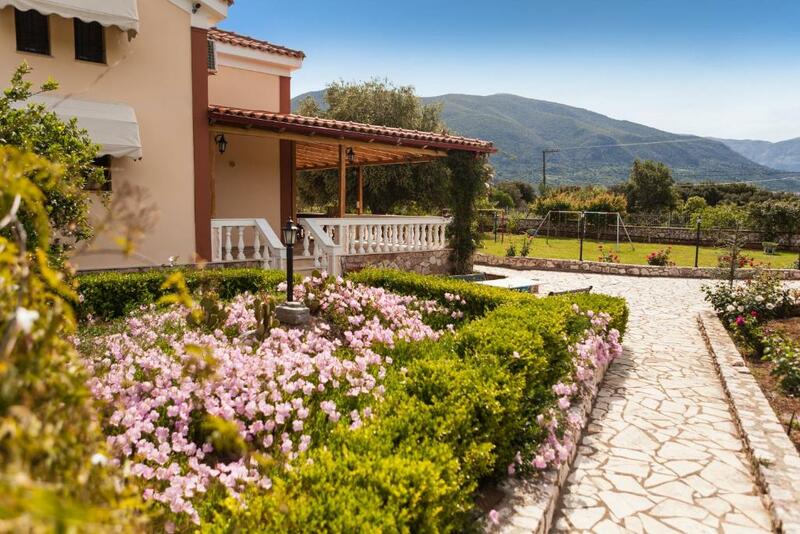 Located in Karavomylos, Villa Kostoula provides air-conditioned accommodations with a terrace and free WiFi. The villa has mountain views and is 2.1 miles from Sami. The villa is composed of 3 bedrooms, a fully equipped kitchen, and 2 bathrooms. A flat-screen TV and DVD player are provided. The villa has a grill. 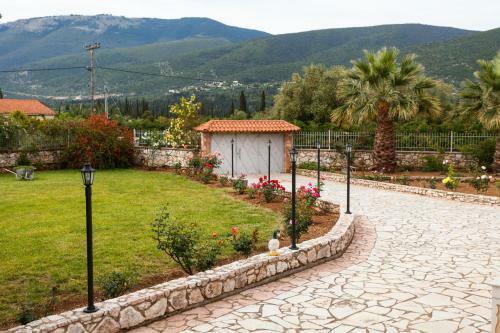 Guests at Villa Kostoula can enjoy hiking nearby, or make the most of the garden. Poros is 19 miles from the accommodation. 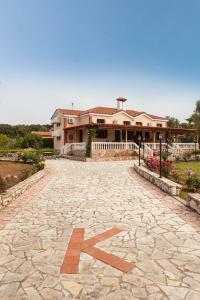 Kefalonia Airport is 21 miles from the property. 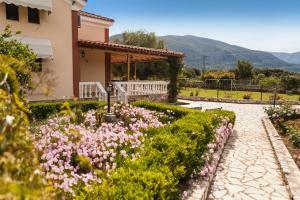 When would you like to stay at Villa Kostoula? This villa has a balcony, tea/coffee maker and toaster. Country Villa is located just seven minutes' drive from the port of Sami and very near to sigh seeings like Drogarati cave, Melissani cave and two of the most beautiful beaches of the world Myrtos Beach and Antisamos Beach. 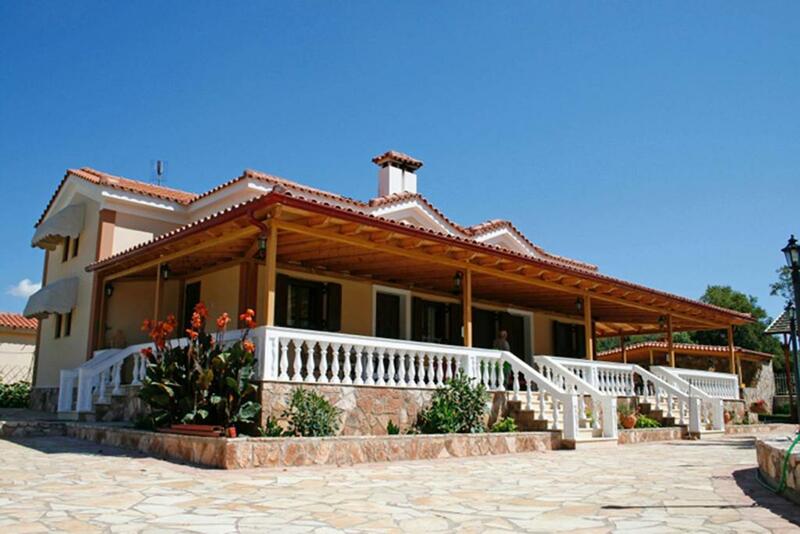 A 2-storey, 3-bedroom Villa with a/c, near the port of Sami. The house accommodates up to six persons, providing spacious rooms, two bathrooms, one on each storey, a fully equipped kitchen and a sun-filled lounge. The garden, porch and playground are ideal for a family. Quiet and peaceful with a big garden for the kids to play. Fully furnished property. House Rules Villa Kostoula takes special requests – add in the next step! Please inform Villa Kostoula of your expected arrival time in advance. You can use the Special Requests box when booking, or contact the property directly using the contact details in your confirmation. Nothing - from everyone who was there. The stairs were steep & the ceilings upstairs were low. (There is however a stairgate if you have children).